If there is one thing I learned in my previous role as a Head of Risk of multibillion-dollar PE/VC investment fund, risk management is not about managing risks. It’s about helping management make strategic, operational and investment decisions with the risks in mind. Risk professionals seem to have created a myth that risk management is about managing risks. Not so. Risk management is not an objective in itself. It’s just another management tool to help them make better decisions and hence achieve the objectives. There is a big difference between how mature organizations implement risk management and the rest. Mature organizations do risk analysis when a decision is made, using whatever risk analysis methodology is appropriate for that particular type of decision. The rest do risk management when it’s time to do risk management, be it annually, quarterly or some other regular internal. Nothing could be further from the truth. Unless our methodologies, approaches and tools allow risks to be analyzed at any moment during the day, when an important decision is being made or at every milestone within the core business processes, we are unlikely to get management’s attention. This was a big challenge for me personally and to overcome the challenges I have created this training. The Palace Hotel Malta, High Street, Sliema SLM 1542, Malta. Discounts on accommodation in Malta are available to all those that attend the training. Previous: Previous post: What is risk based decision making? 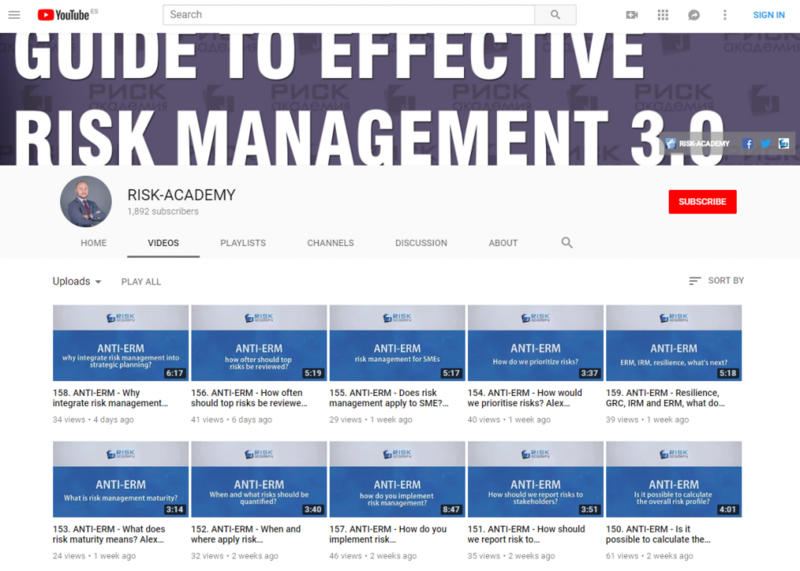 Next: Next post: What is risk management?